Morrissey Spotted On Google Earth??? News broke today that Morrissey’s image was hidden on Google Earth by a fan of the band that works for Google. Well it seems to be kinda true. 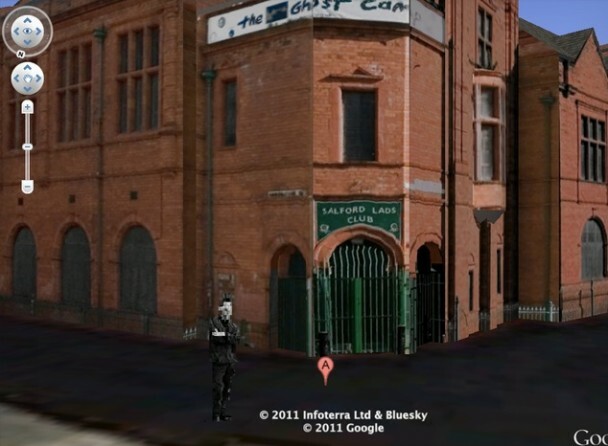 Here is the image you see of Morrissey only if you enable 3D Buildings and click on a small box that then shows an artist 3D rendition the Salford Lads Club on St Ignatius Walk, Salford, M5 3RX, United Kingdom. See, it not like when The Flaming Lips Wayne Coyne himself was caught on Google Street View. The 3D model of the building was created by landscape architect Ste Allan, who created it in SketchUp as part of Google’s Your World in 3D campaign. 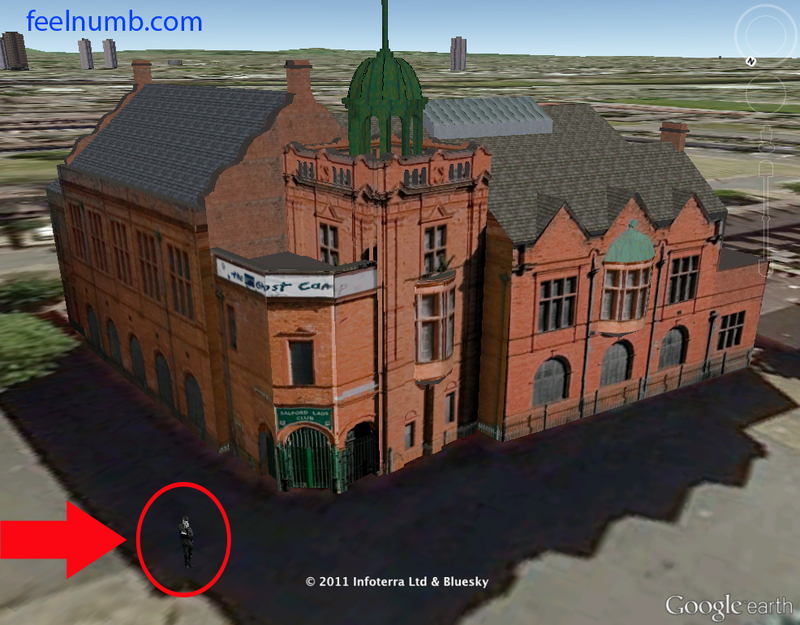 Here is the Morrissey image from above with the “3D Buildings” mode enabled. 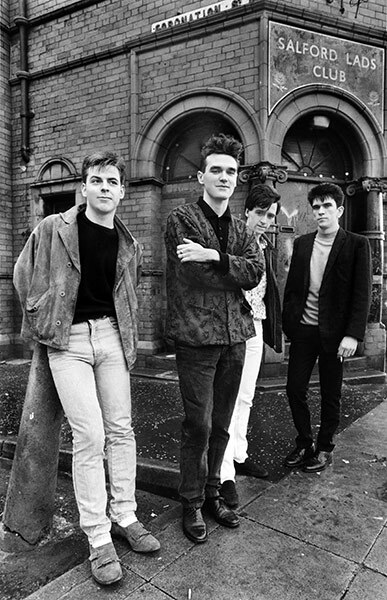 The image used was Morrissey’s pose for the photo on the inner sleeve of The Smiths 1986 album “The Queen Is Dead” which was taken in front of the Salford Lads Club. Paul McCartney's Vocal Bass on The Beatles "I Will"